We Are Stepping Up Our Truck Game!!! 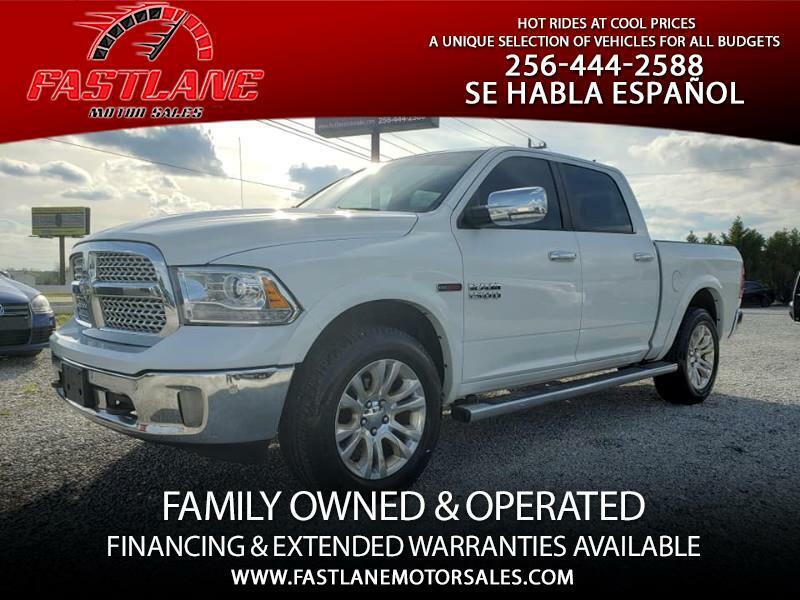 And this 2014 Ram 1500 Laramie EcoDiesel 4x4 is just the beginning! This hard to find fully optioned (minus rear entertainment) 3.0L V6 Diesel engine with a 28MPG highway rating and a whopping 420 FT. Lbs of torque! This is one powerful 1500 and she is equipped with some serious options. Rich two tone interior! Heated leather seats front and rear! Cooled seats in the front!!! Even the steering wheel are mirrors are heated! Air ride suspension! Bluetooth! Navigation with backup camera! 115V power socket in dash! SD card reader, USB and Aux input! This is the best of the best Ram had to offer for a 1500 series truck. Super quiet yet powerful engine, 4x4 with a 9,200 LB tow capacity. And gets almost 30MPG on the highway! What more could you ask for??? ......A great deal you say?.....How about $2,000 behind NADA book value? Own this sharp Laramie Ram for only $23,950. Plus tax and title for AL residents.